Autumn is a time for comfort. 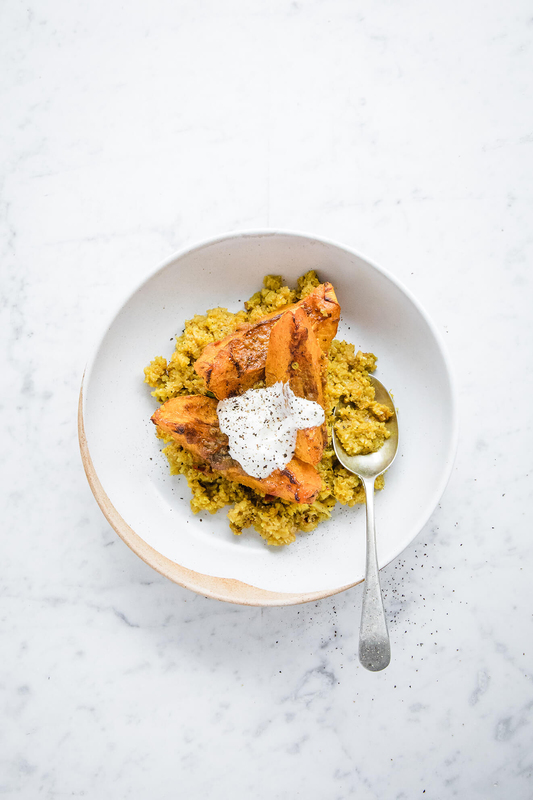 As we put to bed our flip flops for another year and slowly say goodbye to the sun, it’s time to batten down the hatches and cook cozy recipes like this Vegan Pumpkin Cauliflower Rice Curry. Autumn is my favourite season for cooking. 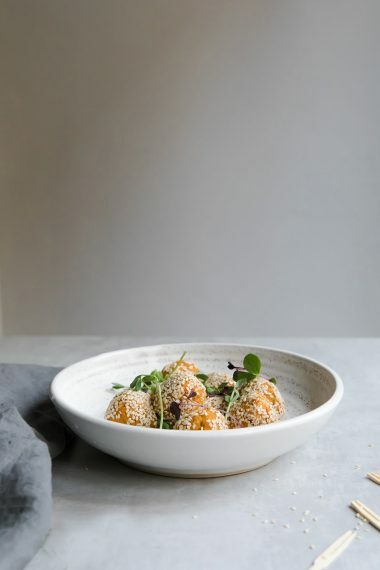 The beautiful sweet pumpkins in all their autumnal colours first make an appearance at the farmer’s markets and heady greens with nourishing spices begin to line our soup bowls. 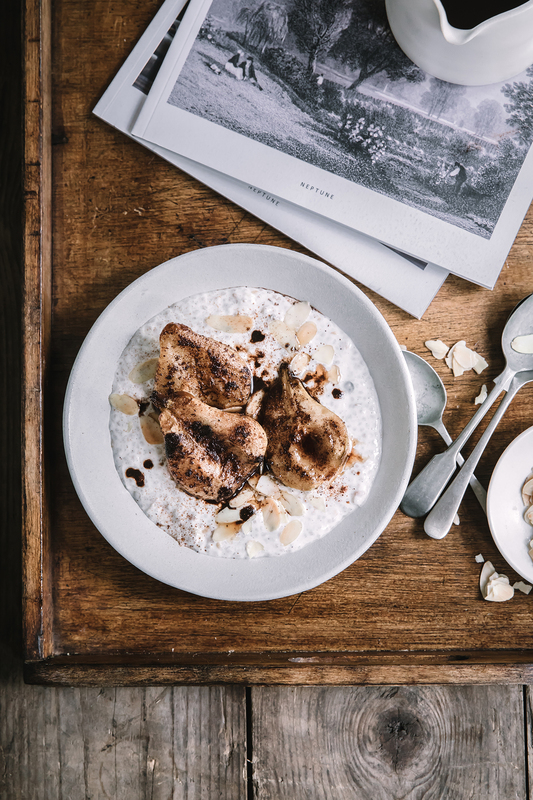 It’s time to jump on all the excitement of what autumn brings, dig out your stock pot and get those tray bakes and roasts sizzling in the oven. 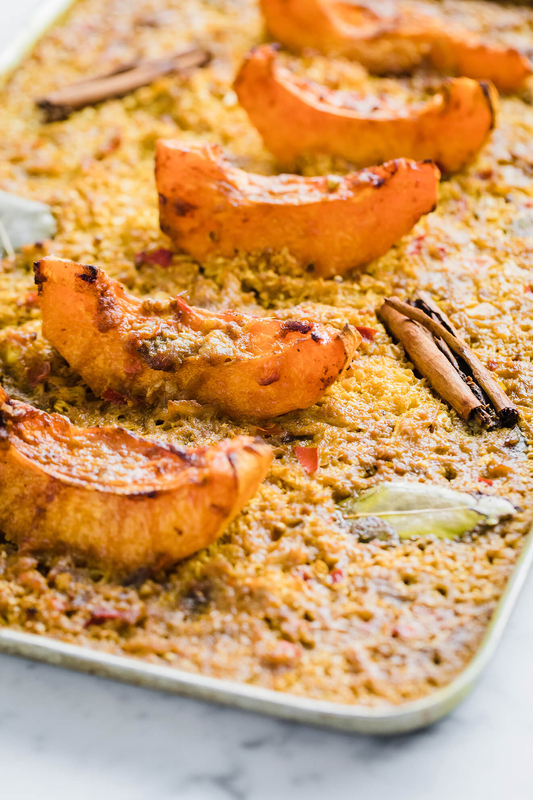 I love that this Vegan Pumpkin Cauliflower Curry is a bit different. 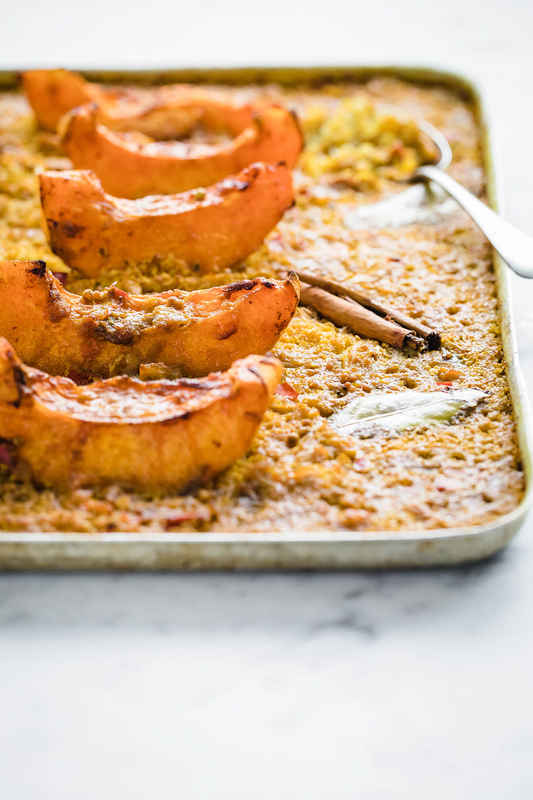 It’s all the wonderful flavours of a good vegan curry but roasted in a one pot tray bake until the pumpkin is delicately sweet, naturally caramelised and the cauliflower rice soaks up all the curry sauce. It’s super easy and yet bursting with flavour. I think this is the start of a beautiful new way of cooking. Stay tuned for more curry bakes coming your way this winter. 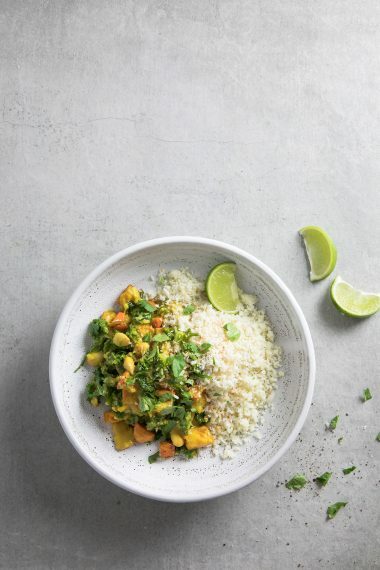 This Vegan Pumpkin Cauliflower Rice Curry has pretty much all the healing diets covered. It’s keto, paleo, Gaps, low-carb, Whole3o and vegan friendly. For an AIP version you could leave out the tomatoes, paprika and chilli and add a little more of the other spices and another tablespoon of coconut oil for flavour. 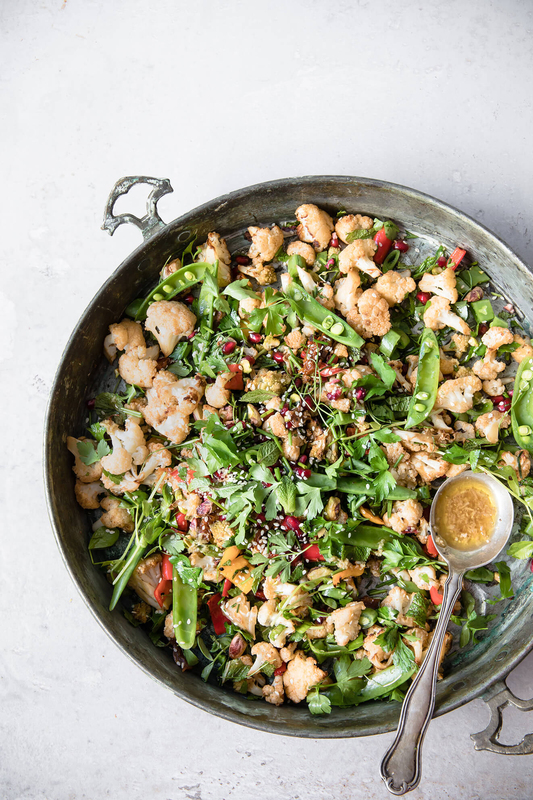 If you love getting creative with veggies and are looking for an easy way to get more in your diet, this one’s definitely worth trying. Preheat the oven to 180C (fan assisted) or 200C / 400F. Cut the pumpkin in half and remove the seeds. Peel and slice into thick wedges. No need to peel if using Hokkaido like I did. 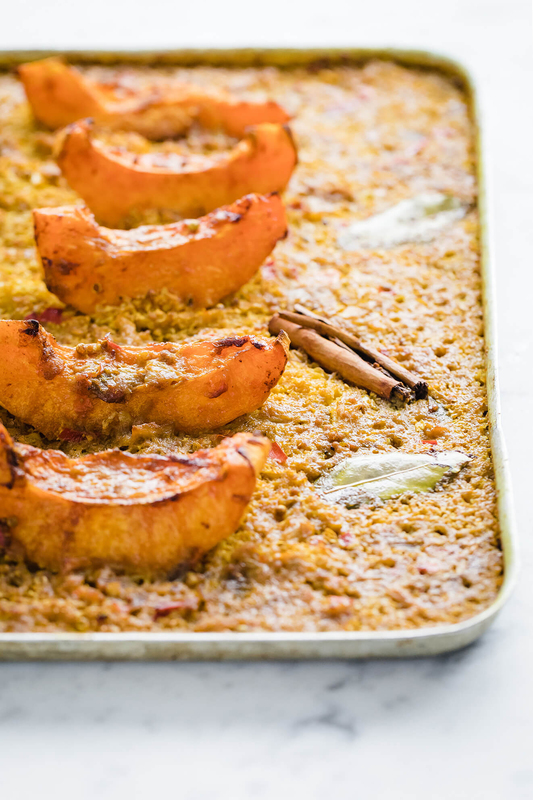 Place on a baking tray and toss with 1 tsp paprika, 1 tbsp of olive oil and a pinch of salt. Roast for 30 minutes. Meanwhile, prepare the curry paste. Dry fry the mustard and coriander seeds in a pan on a low heat for 1 minute. Add to a blender, along with the onion, garlic, lemongrass, chilli and tomatoes. Blitz till fine or leave chunkier if that's how you prefer it. Option to use a pestle and mortar and remove the tomato skins if you like. Add the stock, coconut milk, season and simmer for 15 minutes until sauce starts to thicken. Remove the leaves and stalk from the cauliflower. Blitz the florets in a food processor using the S blade until they resemble a rice consistency. Pour into the coconut milk sauce, stir and remove from the heat. Do not cook the cauliflower. 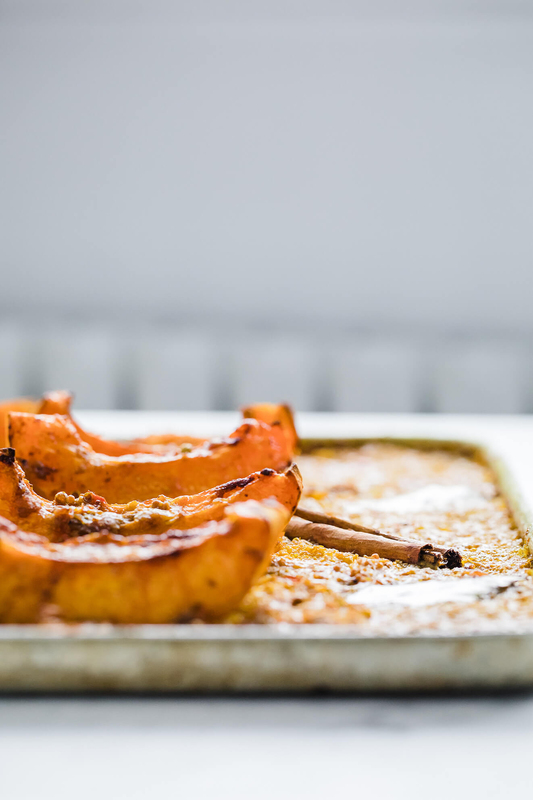 Remove the pumpkin from the baking tray temporarily. 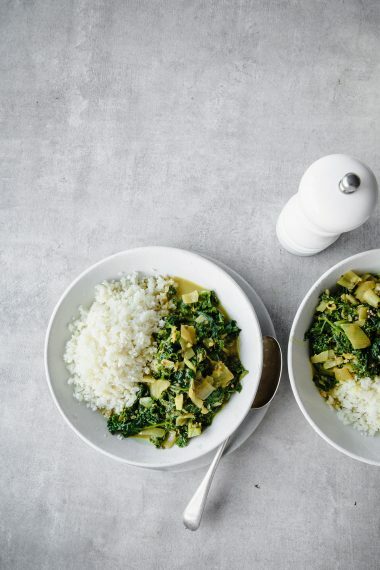 Fill the tray with cauliflower rice curry. Place the pumpkin back on top. Add the cinnamon sticks and bay leaves. Cover with tin foil and place in the oven for 20 minutes. Remove the tin foil and gently stir the cauliflower rice and place back in the oven for 30 minutes or until all the juices have absorbed into the cauliflower. 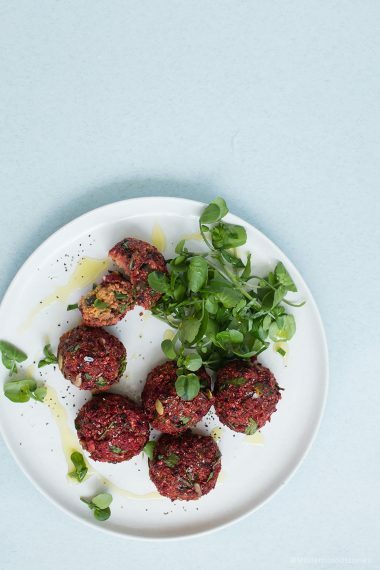 Season to taste and serve with a squeeze of lime, chopped fresh parsley or coriander and coconut yoghurt.